Aww aint that sweet!! Maybe for the best that he didn't get you a present from Chanel or Tiffany's, he might hit you up for more pocket money! 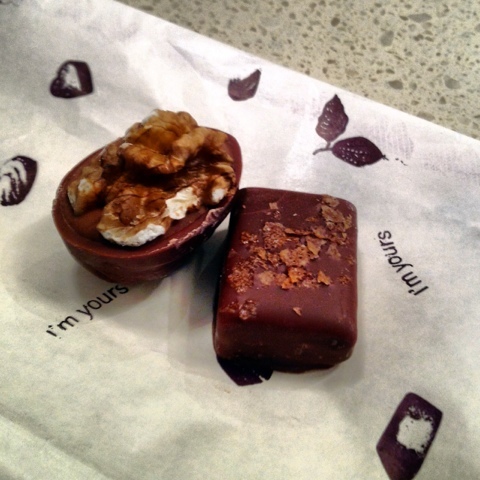 I love the walnut choc too. Actually all Koko black is pretty fine by me. Must be time for a trip to Melb. to surf the chocolate shops. Good Baby. If it was one of my children they would buy the chocolates for me and then eat them before they made it home. Delicious and a lovely thought!